A prototype of the Mercedes-Benz S65 AMG extra-long wheelbase has been spied for the first time. 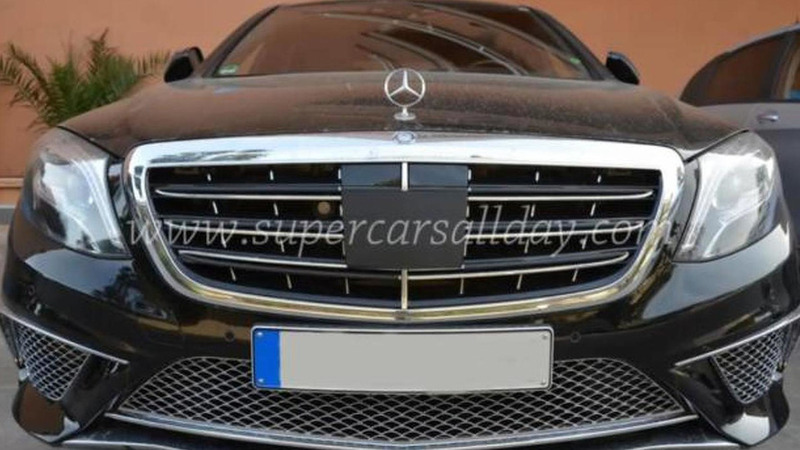 After seeing the upcoming stretched S-Class in S600 disguise, the model has now returned but in the hotter S65 AMG flavor. Set most likely to receive the Maybach nameplate, the longer S-Class will be offered with the massive V12 6.0-liter twin-turbo taken from the standard S65 AMG where it outputs 630 PS (463 kW) and 1,000 Nm (737 lb-ft). This Maybach derivative will be approximately 200mm longer than the LWB S-Class (5246mm) and will retain the 2+2 seating arrangement. It will be followed by a Pullman variant which will be almost six meters long and will have a 2+2+2 cabin layout. It's not known at this point whether the Pullman will receive the AMG treatment as well.